Mother’s Day is just around the corner. Make sure to treat the mom in your life to something special. Her body produced an entire human being, she definitely deserves a gift for that! 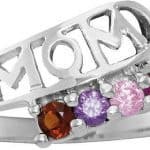 There’s sure to be the perfect gift for mom on this list of mom related gifts for Mother’s Day. Warning for the men out there. Gifts should be thoughtful and not generic. This doesn’t mean you have to spend a bunch of money, just take a moment to think about what the woman you are buying for really likes. While Moms should be celebrated all year long, this is their day, so be sure they feel like thought was actually put into the gift! DIY kid crafts and flowers are great but are better combined with a second special gift. 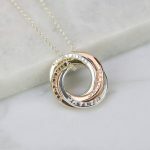 This list is full of mom related gifts, be sure to check out my list of non-mom related gifts to partner with these to make a special package celebrating all that she is. This post contains affiliate links. If you make a purchase through one of my links I may earn a small commission at no additional cost to you. When I asked Mom’s with young kids what they wanted most for Mother’s Day the resounding answer was a day off! This does not mean you tell her you’ll keep the kids while she goes out for an hour alone. You take the kids and pack everyone off to the grandparents or a friends house. Then it’s really her day to herself, she can choose to go out or just stay home and take a nap and relax, she deserves it! Moms are terrible about taking photos of our family with us in them. 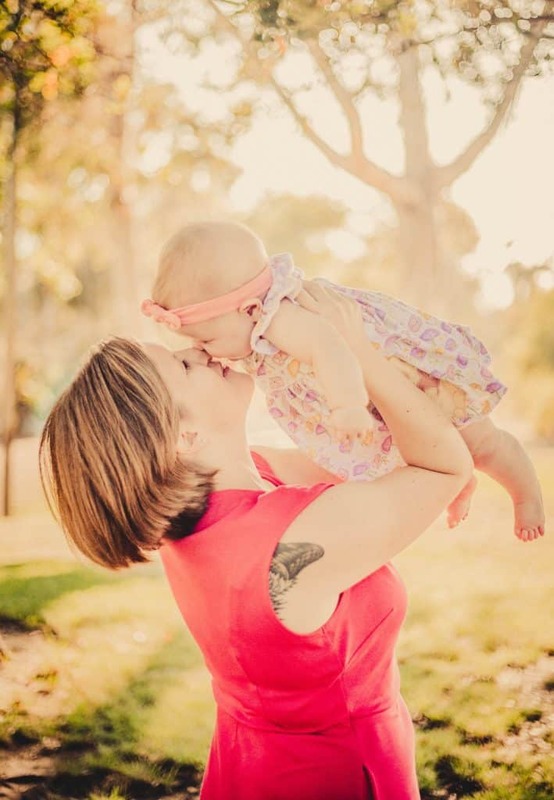 Mother’s Day is the perfect time to gift her with family photos or a mommy and me photoshoot. Set up the date, make her a hair appointment, don’t let her put off planning it forever. You can check Groupon or a local photography group who may be running specials for Mother’s Day. Being a mom can be stressful. Let her relax for an afternoon with a nice massage or spa day. Check Groupon for local deals or ask for recommendations from your friends. What woman doesn’t love jewelry? 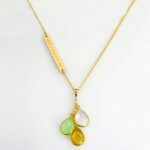 These ones will celebrate her role as a mother while giving her something pretty to wear. (PSA: Necklaces may not be the best gift for moms with young babies. Babies love to grab necklaces so I for one have pretty much given up wearing jewelry until my little one gets a bit older. It can be sad to receive a gift that you can’t wear.) So for young moms, you may want to opt for a ring or something instead if you’re going the jewelry route. Check out one of the fun pieces below for a little inspiration. 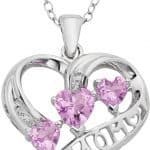 The one caveat to the no jewelry for newer moms warning above is breastmilk jewelry, as it has to be done while baby is young. 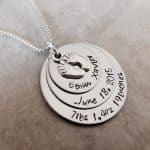 Breastmilk jewelry can be a great way to celebrate that special relationship and give mom a great reminder to wear long after baby has finished breastfeeding. These can take quite a while to be completed as they are all individually made. But a gift certificate or photo of jewelry on order can be nice too. Don’t worry if you aren’t great at arts & crafts. DIY gifts can be done simply and mom will cherish these cute gifts from the kids. Pinterest is full of ideas but here are a few of my favorites. Just remember that these pretty much count as gifts from the kids, you will still have to get a gift from you. Go to the craft store, yes I said the craft store, and pick up three large letters, any employee can help you find them. (Don’t worry, if you’re really terrified of the craft store or just too lazy to go the links here will take you to Amazon!) You want two or 3 M‘s, an O, and maybe a Y, depending on if you’re spelling Mom or Mommy. If you have less than three kids just keep it simple and do MOM. You’ll also need a frame with 3 places. Now take photos of your kid(s) holding the letters. If your kids are old enough it may be fun to let them color/paint/decorate the letters themselves before you take the photos! 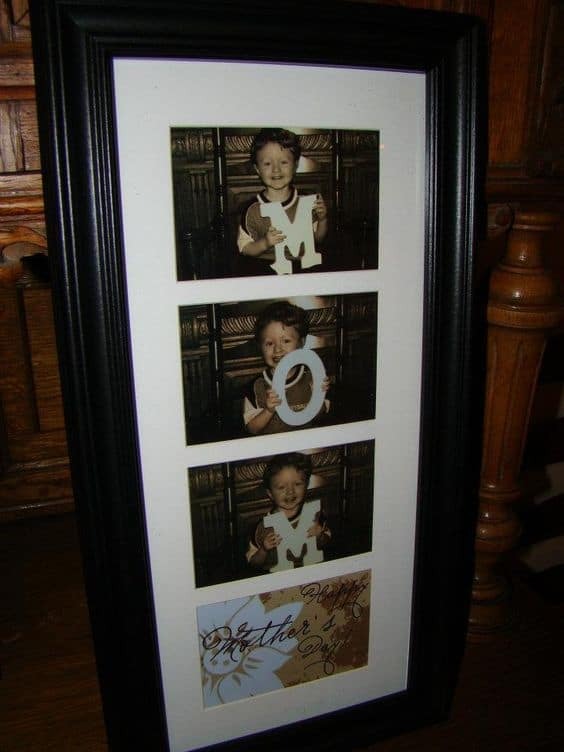 Have 3 good photos printed out and place them in the frame and you have a special gift just for their Mom. Another fun but easy idea is a handprint card. They can be made using paint, I love to use edible paint for crafts myself. Or you can draw around their hand and cut it out. Here are some great How-To ideas for handprint gifts. Many come with free printables to make these crafts extra easy. Don’t forget to check out my other list of Mother’s Day gift ideas. That one is full of ideas that celebrate her, not just her role as a mother.